Today’s freebie focuses on the Print and Cut feature available on your machine. This adorable pumpkin-that-is-a-cupcake is a fully scalable vector graphic ready for you to add your text to it. 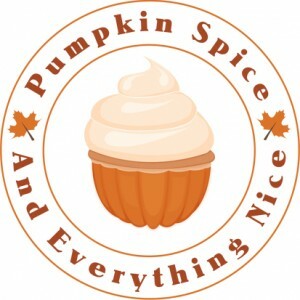 I have added ‘Pumpkin Spice And Everything Nice’ to mine. Do what you like with yours, but remember they’re just for personal use : ) This isn’t to be turned into a logo, put on mugs for your business or given away as a promotional ‘gift with purchase’ item in any way, shape or form.